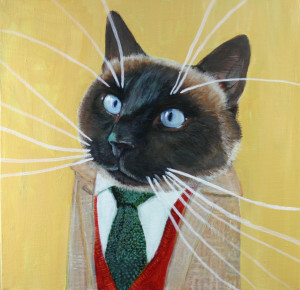 You can have your pet’s portrait painted by Amy Beth Geerling Payne for a few dollars, some photos and some information. Take a look at some of Amy’s past commissioned works here. If this is the first time you are placing an order, this chart guide will help explain the process. 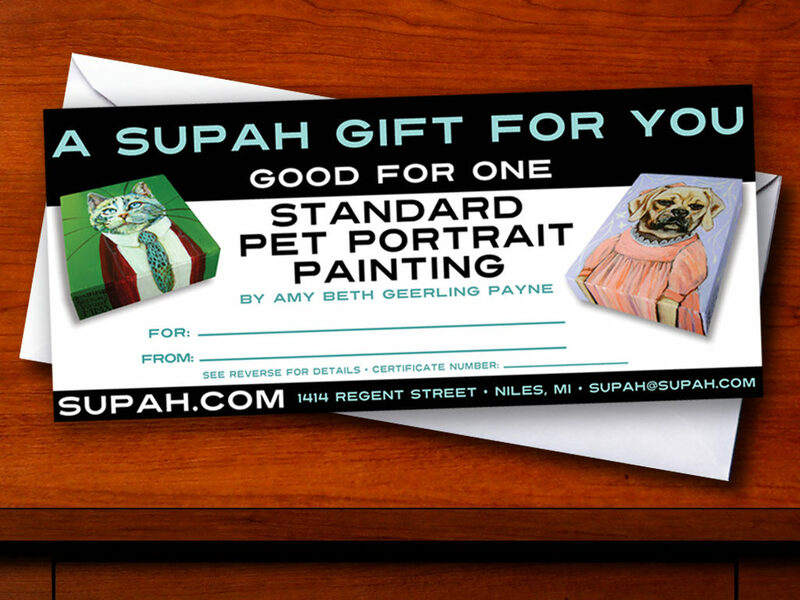 If the portrait is a gift, and you are uncertain of what the recipient might want, a Gift Certificate makes giving a painting very easy. If the portrait is a gift and you have a good idea of what the recipient would like, or the painting is for yourself, continue reading. If you have no particular deadline in mind, click here to order. Once the transaction is complete, and you have sent in your images, your painting is next in line spot to be painted. If you have a set date you would like the work done by, use this calendar to place your order. Choose the week you would like the work to start and allow a few weeks before your in-hands date. What do I have to send in? good or better quality photographs of the subject’s head (good photography makes for a good finished painting) emailed or snail-mailed – all photos will be returned when painting is shipped. I accept PayPal payments to supah (at) supah.com Please, contact me with any questions you might have. You do not need a PayPal account to use your credit card with PayPal. If you do not or can not use PayPal, contact me to discuss your preferred method of payment. We will work with you. Use this calendar to select a start date (Mondays have a dot if there is a work-week open) and place an order for your art! Don’t see the date you need? Contact us and we will work to accommodate you! 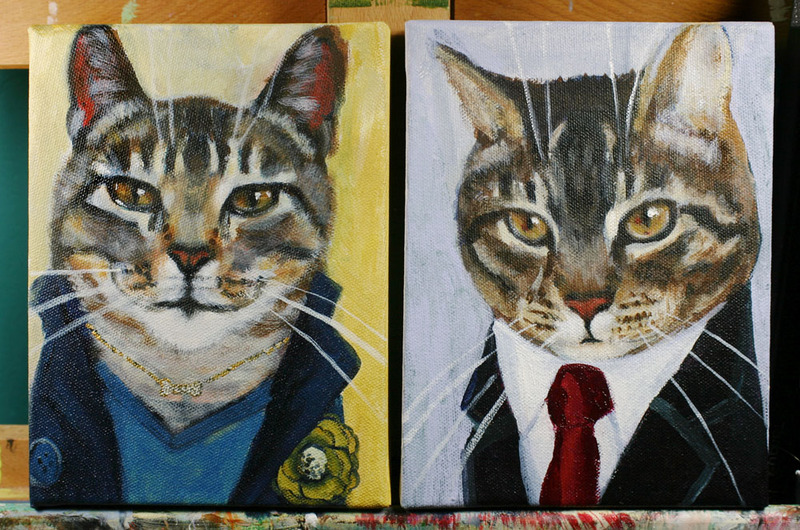 Tibby and Fibby are two Standard size portraits.